All photographs and videos contained within this web site are © Reed R. Radcliffe / TripleRPhotography LLC - Please do not use without permission and credit given. I am Reed R. Radcliffe and this is my web site. It contains my portfolio of work and it is my means for artistic expression. I am a free-lance photographer based in St. Louis, Missouri. I specialize in real estate photography for real estate agents in the area, but I do not limit myself to just that type of photography. This site features three separate areas - Real Estate, Music and Other. If you are a real estate agent looking for better photographs for your listings you have come to the right place. 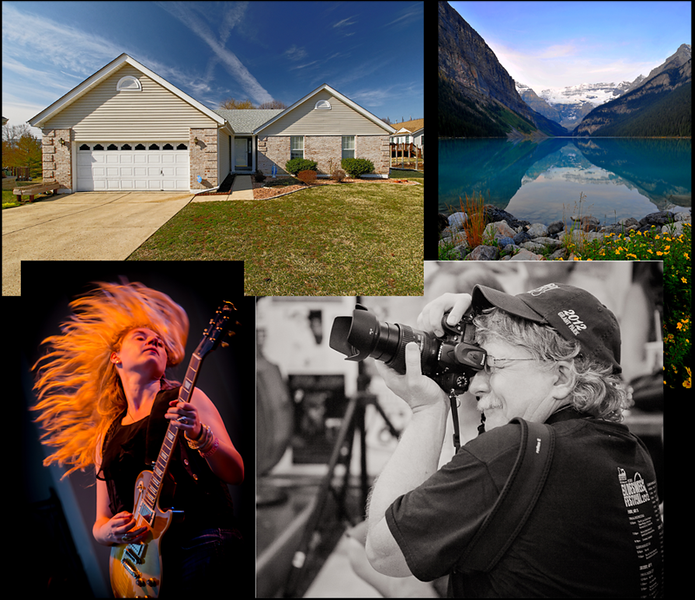 I can give you excellent photos quickly for your MLS listings at a very affordable price point. There are several examples of my work under the Real Estate menu - I would be happy to work with you! Call me at 314.276.7481 for an appointment. If you are a blues music lover like I am, there are several galleries of shows I have shot here in St. Louis and other places in the country in the Music area. I offer prints for sale of any you have to have for your wall or can provide high resolution digital copies for printing, advertising and promotion. The "Other" area is filled with anything other than real estate or music. There is travel photography, portraits, product photos, a wedding and some sports photography in there. I love photography and enjoy finding new things to shoot. I hope you find something you like here. Please stay around and enjoy my photographs!